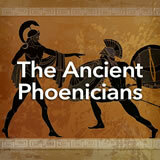 Students are introduced to the ancient Phoenicians, a highly-influential collection of city-states. They learn about the Phoenicians‚Äô invention of the alphabet and then investigate Phoenician commerce and colonial expansion, particularly that of Carthage, the powerful city that developed its own trading empire. Finally, students create a unique mini-alphabet of their own and discuss their results and their process. 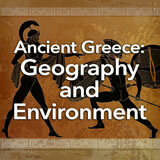 In this experience, students are introduced to the ancient Phoenicians, a highly-influential collection of city-states. They learn about the Phoenicians’ invention of the alphabet and then investigate Phoenician commerce and colonial expansion, particularly that of Carthage, the powerful city that developed its own trading empire. Finally, students create a unique mini-alphabet of their own and discuss their results and their process. 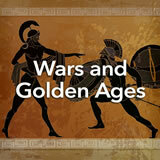 Identify and analyze the cultural impact of the ancient Phoenicians on the Mediterranean world. Do you remember when you first learned the alphabet? It’s the most essential tool for learning in and out of school. When did that alphabet get created, and who invented it? It began about 1200 B.C.E.-1050 B.C.E., and the people who invented it were the Phoenicians, a seafaring and trading people who lived on the eastern shore of the Mediterranean Sea, in what is known today as Lebanon. In this experience, you’ll learn about the many aspects of their culture. Go to The Greek Alphabet. Read the paragraph on the left side of the screen. 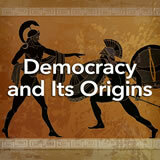 From whom did the Greeks adapt their alphabet? 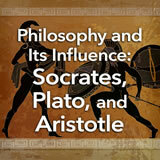 Look at the Greek alphabet at the above link. 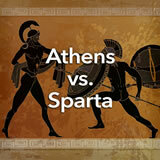 Write your first and last name using the symbols of the Greek alphabet. You can write directly on the canvas below, or write your name on paper and upload a photo of it. Discuss the experience of writing their names using a different alphabet. 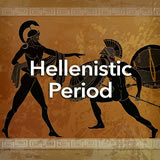 Tell students that they will learn more about the origins of this alphabet in this experience.